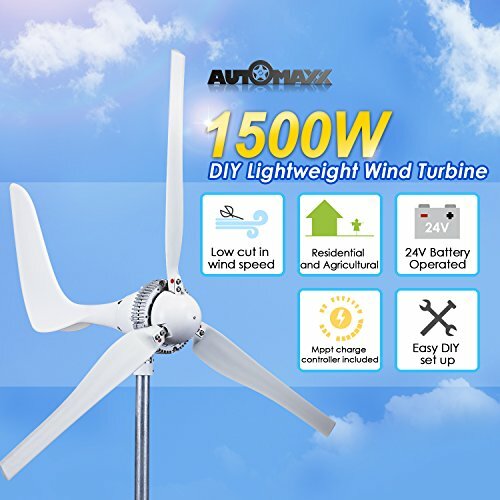 ✅ SPECIFICATION: Rated power: 1500W, Rated speed: 46 ft/s, Voltage system: 24V, Cut-in wind speed: 5.6mph, Suggested battery capacity: 200A or larger, Number of blades: 3, Rotor diameter: 5.6 ft and Weight: 33 lb. 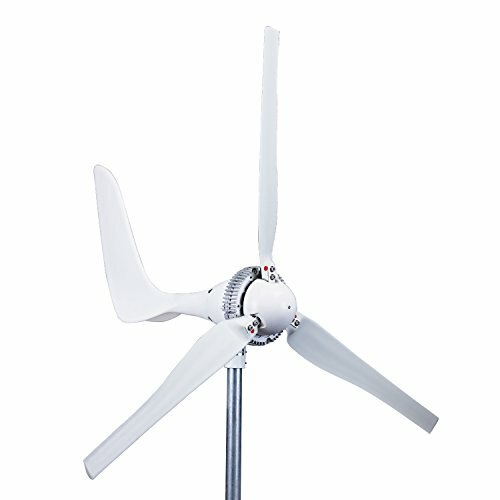 The MPPT Charge Controller of the 1500W wind turbine has been included, it specially configured to generate the MAX power output and to incoporate its safey protocols such as automatic braking and over charging the batteries. 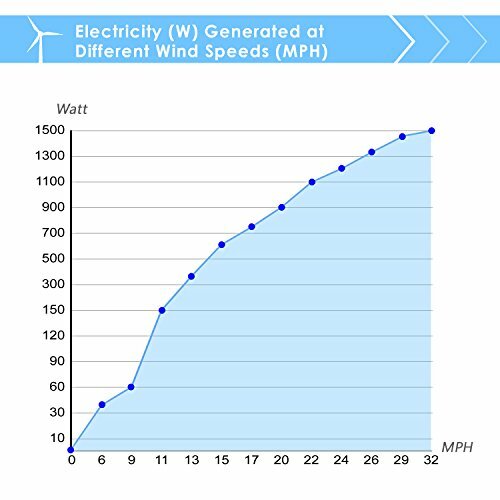 ✅ INCLUDES: 1 x Center piece (Generator), 1 x Tail Piece, 1 x MPPT Charge Controller, 3 x Blades, 1 x Nose cone, 1 x Manual brake switch, Amp meter display box, Hex Screws, Locking nuts, Spacers, Hex keys and 1 x Operational installation manual.